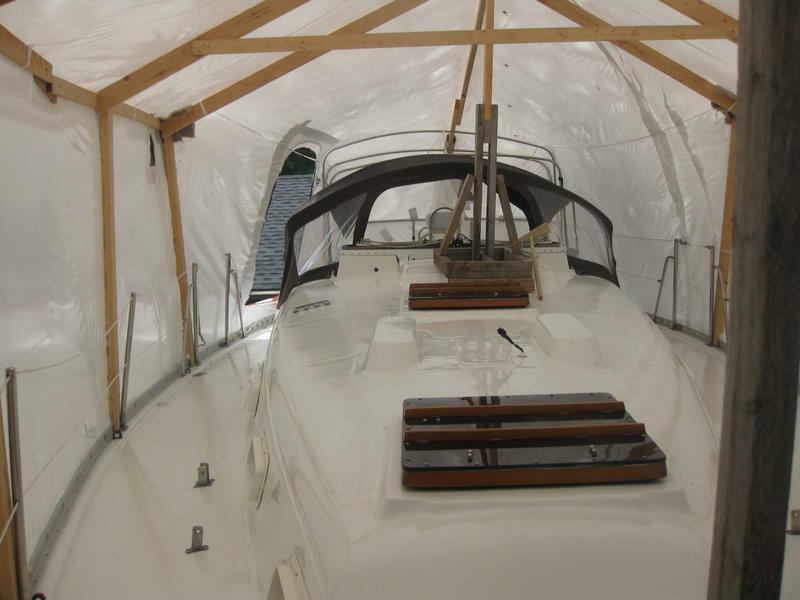 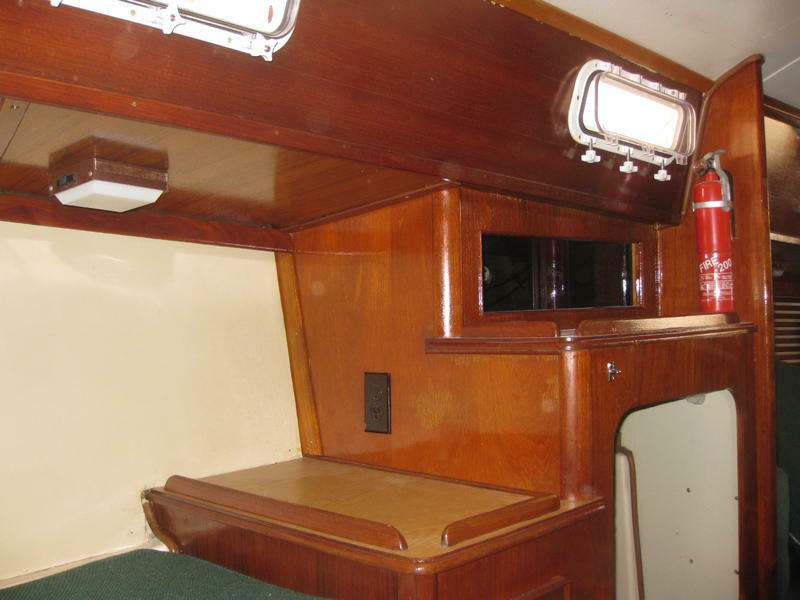 She has a comfortable interior for cruising. 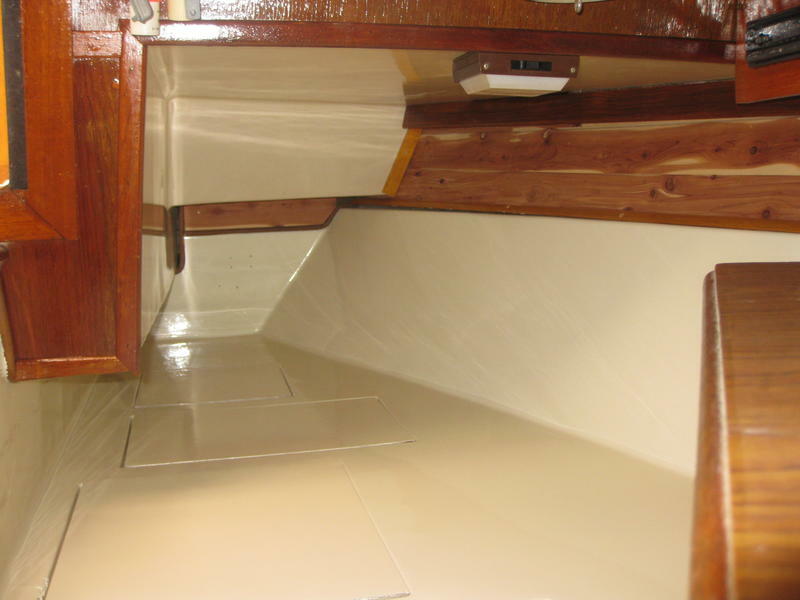 V-berth forward with filler followed by the head to port and hanging locker opposite. 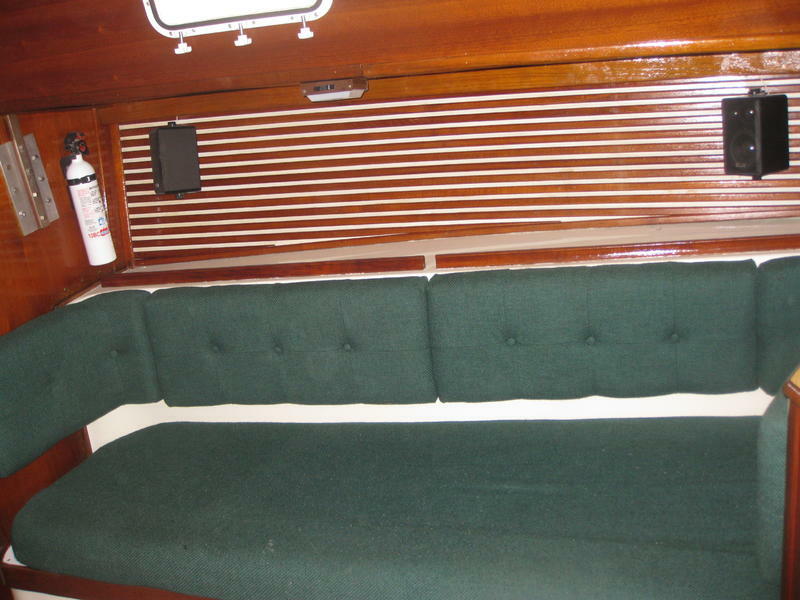 The main salon is very accommodating with U-shaped dinette to port and settee to starboard. 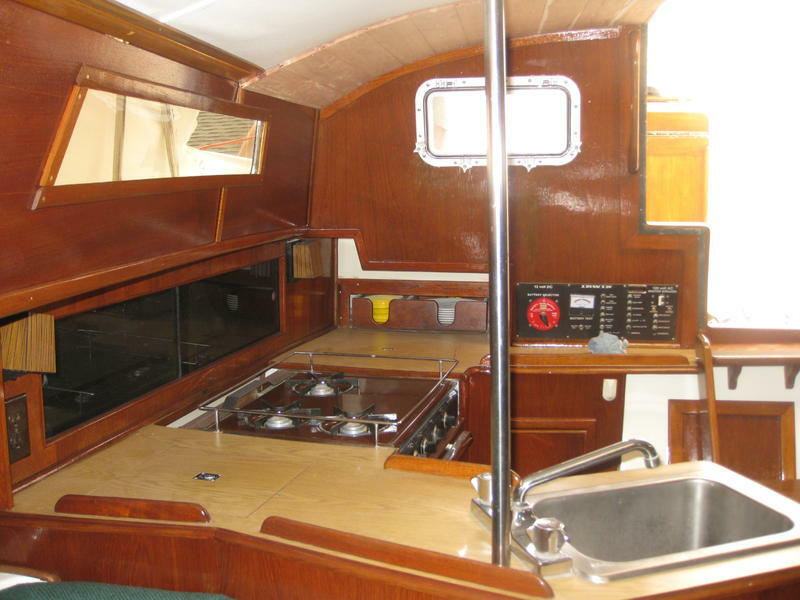 Next is the navigation station and quarter berth to port with a large wrap galley to starboard. 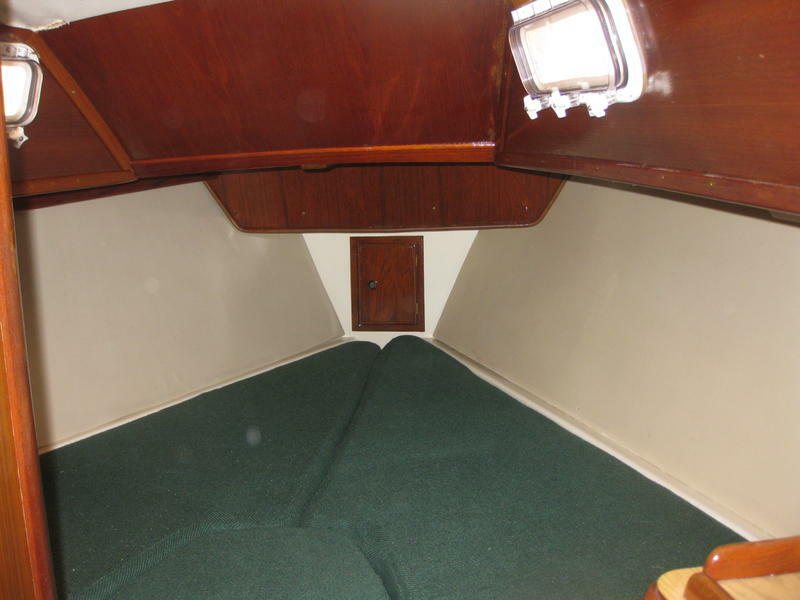 Centerline companionway leads to a large cockpit with wheel steering. 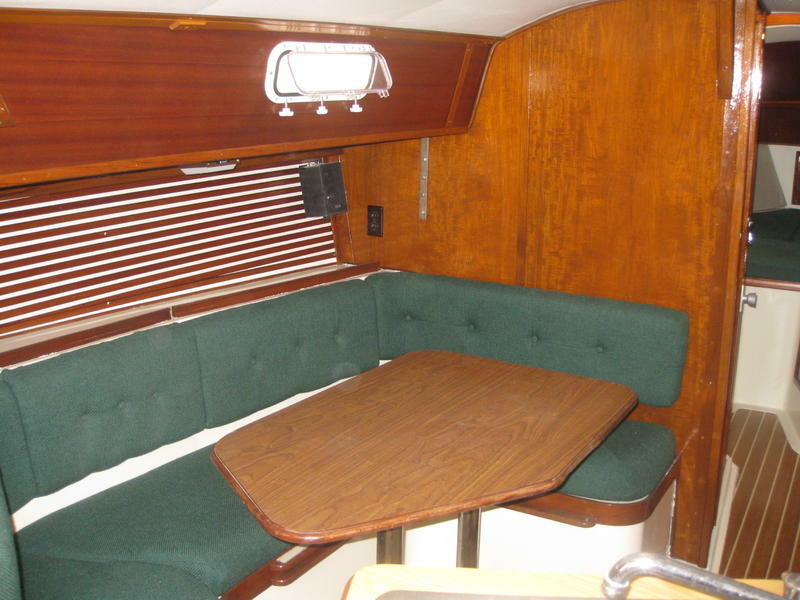 The cockpit has a nice table for dining and wide decks for excellent access forward. 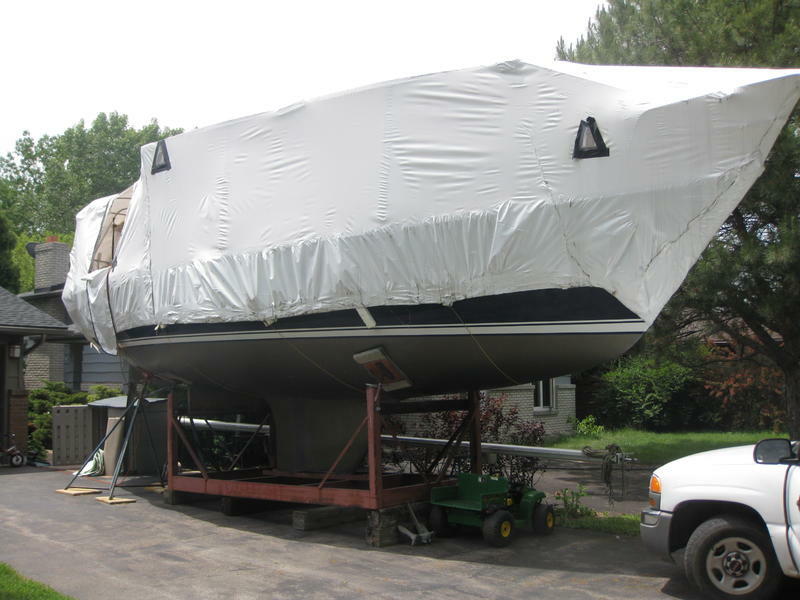 This vessel has bran new paint on deck(white) and hull(blue). 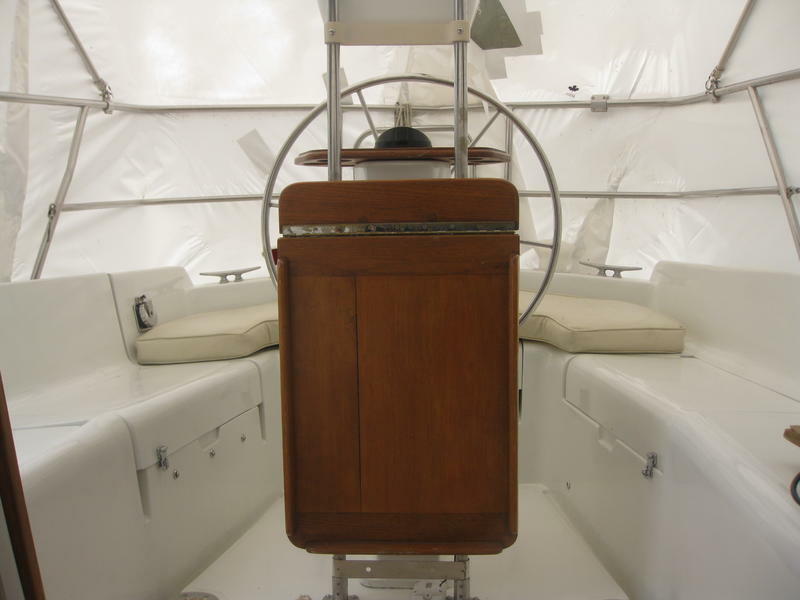 The interior wood work is completely refinished. 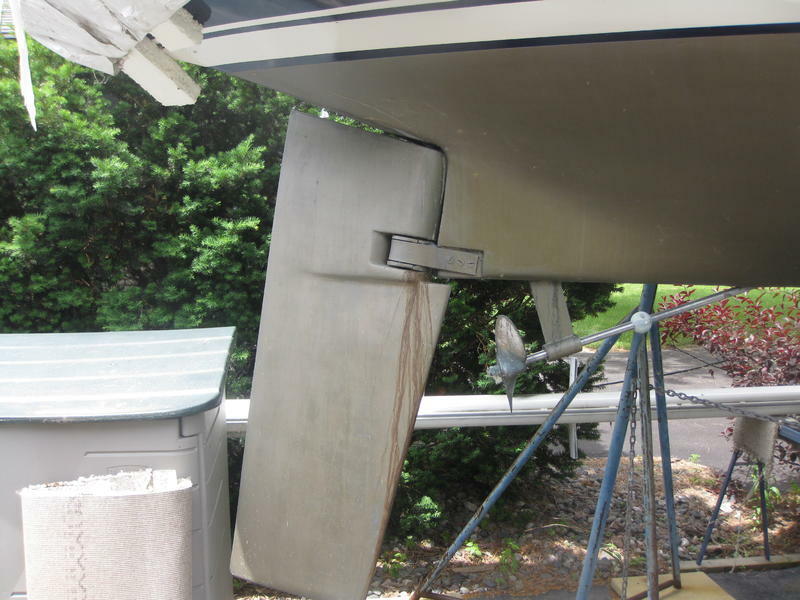 There is 62 headroom below and she has minimal freeboard.